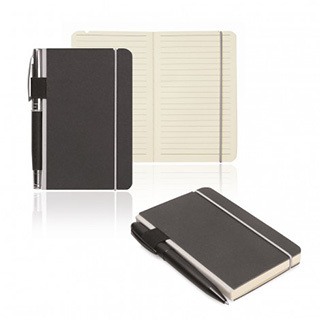 These classy notebooks have tough yet elegant matt covers, canvas spines and unusual design touches that set them apart. Printed with your corporate or promotional logo, they are a top notch executive gift idea. Pen not included.